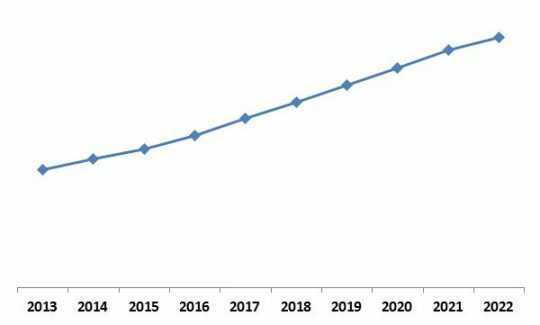 According to a new report Asia-Pacific Hyperscale Data Center Market , the market is expected to attain a market size of $21.4 billion by 2022, growing at a CAGR of 17.4% during the forecast period. Hyperscale data center offers single and largely expandable compute architecture. The architecture offers computing, networking and storage solutions and is built from small, individual servers called nodes, which are grouped together as a single entity and accordingly managed. The Hyperscale data center is very economical as a technology; therefore, is a perfect solution for low investment approach. Adding to the benefit, as the demand increases, new nodes can easily added to the existing infrastructure. 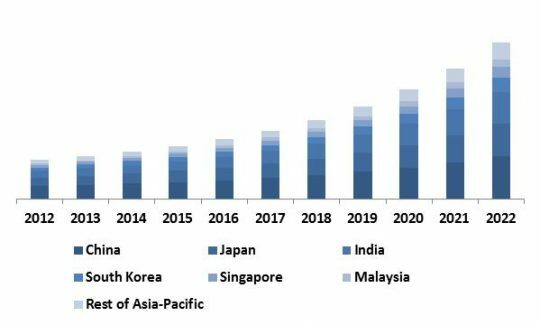 Asia-Pacific Hyperscale Data Center Market Revenue Trend, 2012-2022 ( In USD Million)[/caption] In 2015, Servers segment dominated the Hyperscale Data Center Market in Asia-Pacific by Component Type with market revenue of $3,500.0 Million. However, the networking segment would exhibit maximum CAGR of 18.9% during the forecast period (2016-2022). 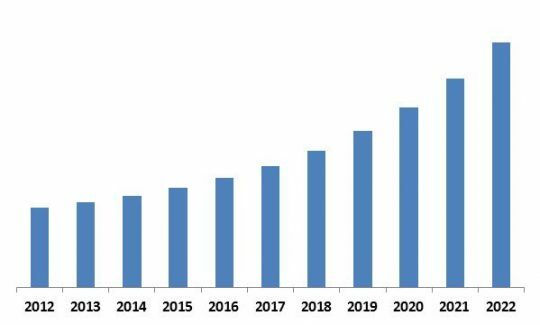 Asia-Pacific Hyperscale Data Center Market Growth Trend, 2013-2022 In 2015, Cloud Providers segment dominated the Hyperscale Data Center Market in Asia-Pacific by User Type and would garner market revenue of $14,253.6 Million by 2022. However, Enterprises segment would exhibit maximum CAGR of 22.8% during the forecast period (2016-2022). 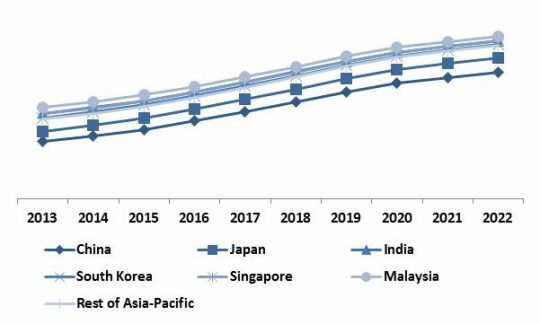 Asia Pacific Hyperscale Data Center Market Revenue Trend by Country, 2013 - 2022 (in %) The report has exhaustive quantitative insights providing a clear picture of the market potential in various segments across the countries in Asia-Pacific. The key influencing factors of the Asia-Pacific Hyperscale Data Center market have been discussed in the report along with the elaborated company profiles namely IBM Corporation, Cisco Systems, Inc., HP Enterprise Company, Microsoft Corporation, Intel Corporation, Google Inc., Amazon.com, Inc. and SAP SE.